This is an exciting time to be a fan of a beleaguered franchise. Not only are two of the most pathetic teams in history playing in the World Series this year, but inevitably, one of them must win it. The handful of fans remaining in Kansas City waits with baited breath. The Phillies, the losing-est team in major league baseball, nay, in sports history, with one lonely World Championship in their 125 years of existence, and that almost 30 years ago now, will represent the Senior Circuit. In the other corner, with the worst winning percentage of any team in baseball history,and appropriately enough, representing the so-called Junior Circuit, a team barely a decade old. In their first 10 years, the Rays finished last nine times, and second to last once, before winning 97 games and their division in 2008. I'm pretty decent at predictions over the whole season, but these playoff series always seem to elude me. In 2005, though I picked some of the playoff series correctly, I picked the Astros to beat Chicago in the World Series, which of course did not actually, you know, happen. In 2006 I picked all four of the Division Series exactly wrong, then picked the Tigers to beat the Cardinals. Oops. In 2007, I didn't make any predictions, but the playoffs happened anyway. And this year I picked the Dodgers to beat the Phillies in seven games and the Red Sox to take out the Rays (in 5 games! ), so it's clear that I'm no good at picking winners. If anything, I'm good at picking the team that won't win, kind of like women with driving directions. But I don't want to ruin the surprise, so you'll have to keep reading if you don't want to not find out who you shouldn't not bet on. The Phillies seem to be a slightly better offensive team than Tampa Bay. Philadelphia wasn't quite as good as I had predicted before the season, but they were close. They ranked 9th in the majors in runs scored, 7th in OPS, compared to the Rays at 10th and 13th, respectively. That disparity is even greater when you consider thet the Rays got to use a DH in most of their games, while the Phillies did not. Interestingly, however, the fact that The Trop is a slight pitcher's park while The Vault is a hitter's park mostly negates all that, and they both wind up with a team adjusted OPS of 103. 1B Ryan Howard, who led the majors in homers and RBIs, but was also 8th in the NL with 475 outs made, including 199 whiffs for the second year in a row. In the playoffs so far he's been mostly stymied, hitting only .258 with two extra base hits (doubles) and three RBIs in 9 games. For the Rays to win, they'll likely have to continue to keep Howard's bat in check. 2B Chase Utley, who drove in 100+ runs for the 4th straight year in 2008, and has hit some in the playoffs as well, with a homer, 5 runs and 5 RBIs, despite the .250 batting average. He's a perennial MVP candidate, and can hardly be overestimated. The Dodgers learned this the hard way, when he hit .353/.522/.647 against them in the NLCS. LF Pat Burrell, who has averaged 31 homers, 99 RBIs and 103 walks for the past four seasons. He, too, has been key in the playoffs, hitting .300 with 3 homers and 7 RBIs in nine games. SS Jimmy Rollins. The Phillies' leadoff man and reigning NL MVP hit .375 in the NLDS, but only .143 in the series against Los Angeles, though he did coincidentally hit leadoff homers in the clinching games of both series. He's still a threat to hit for power, steal bases, and/or record a rap song. CF Shane Victorino, who is a decent player who's gotten hot in the playoffs. Normally a .290/.350/.430 player with speed, Victorino has been the biggest story of the Phillies' postseason so far, with two homers, three doubles, a triple and 11 (!) RBIs in only nine games to date, plus three steals in three attempts. He's not this good, folks, and won't likely keep it up for another week, especially if his exploits in the earlier series start to swell his ego. Jayson Werth, though he's been mostly quiet in the playoffs, is still a force to be reckoned with as well, especially against lefties, against whom he hit .303/.368/.652 this year. Tampa's Game 1 starter and three of their key relievers are all southpaws, so watch out. Fortunately for the Rays, the Phillies also employ Pedro Feliz and Carlos Ruiz, who have both hit around the Mendoza Line in the playoffs so far, and neither of whom is really much better than that. Though he wouldn't admit it beforehand, Charlie Manuel will probably usually use Matt Stairs as his DH. Stairs isn't much against lefties, and so likely won't start Game 1 (only three homers in the last four seasons, total). Sadly, Geoff Jenkins, So Taguchi and Greg Dobbs are all just as bad or worse, so they'll probably use backup catcher Chris Coste against Scott Kazmir and just take their chances that Carlos Ruiz doesn't get beaned or something. Tampa Bay, though generally devoid of any superstars, has a lot of solid, versatile role-players. At first glance, it would seem that the only real power threats are Carlos Pena and Evan Longoria, but Ben Zobrist slugged .505 in limited playing time this year and B.J. Upton (4 homers and 11 RBIs against the Red Sox, plus 3 more homers against the White Ones) obviously cannot be ignored either. Whatever knocked his homer total down from 24 to nine this year does not seem to be a problem anymore. More important, perhaps, a healthy Carl Crawford (hitting .302 with six steals in six tries in the postseason) in the middle of the lineup strengthens the whole team. Catcher Dioner Navarro hit .295 in the regular season and .400 against the Pale Hose, but went cold against the Red Sox. The rest of the lineup is filled out by solid but (talent-wise) largely undistinguishable role players. Akinori Iwamura and Rocco Baldelli are better than they've played so far in the postseason, though Baldelli is basically a singles hitter at this point in his career, who's no longer a threat to steal. Gabe Gross and Cliff Floyd both have a little pop in their bats, if not much else, and Jason Bartlett can amke contact and steal an occasional base. They've got a little power, a little speed, some guys who hit for average...in other words, no obvious or clear-cut strengths, nor weaknesses. The Phillies' 3.88 ERA was 4th in the NL, 6th in MLB, almost exactly the same as the 3.82 posted by Tampa, which was 2nd in the majors. This is a slightly more impressive number given that they play in the DH-using American League, but again that is mitigated by the fact that they play in a pitcher's park and the Phillies play in a phonebooth. Their adjusted ERA? Again, like the teams' offenses, remarkably evenly matched. The differences are in where their strengths lie. The Phillies have a decent starting staff, overall, but they had a 4.23 ERA as starters, only 13th in MLB, and there's a lot of weight on Hamels' performance even to bring those numbers to where they are. The rest of the rotation gets pretty mediocre after him. Their real strength is in their bullpen, where the team's 3.19 ERA was the second best in MLB. Brad Lidge still has not blown a Save all year, and Ryan Madson (3.05 ERA in 83 innings), and LHP J.C. Romero (2.75 in 59 Innings) have been very good. Amazingly, so have Chad Durbin (2.87 in 88 innings) and Clay Condrey (3.26 in 69 IP). This bullpen is so good that they could leave Rudy Seanez (5-4, 3.53 ERA in 43 innings) entirely off the postseason roster. Keep in mind, however, that Lidge is overdue for an implosion, and this would be a very Philadelphia-esque time for him to decide he needs to ruin his spotless 2008 record. The Tampa Bay bullpen's 3.55 ERA ranked 5th in MLB, so they're not exactly chopped liver either, but the 3.95 starters' ERA was the 6th best in MLB, and the second best in the tougher American League. They have a very balanced starting rotation, with five guys who won at least 11 games, but none with more than 14. The most crucial aspect of their starting corps was its health, as only nine starts went to someone other than their nominal starting five. Scott Kazmir's got the most talent, with a team-best 3.49 ERA and more than a strikeout per inning, but there's really nobody bad on the staff. Edwin Jackson (14-11, 4.42 ERA in 183 innings) is the odd man out, since they only need four starters for the playoffs, and most teams would love to have someone like that. Tampa Bay's bullpen, headed up by Grant Balfour, JP Howell, Dan Wheeler and rookie phenomenon David Price, makes up in talent what it lacks in name recognition. 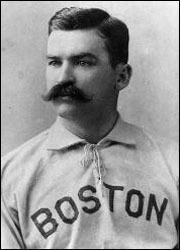 Erstwhile closer Troy Percival is the worst pitcher in the bunch, and he's saved over 350 games in his career. Getting back to the Phillies, Game 2 starter Brett Myers has plenty of talent, but his performance has been erratic this year. 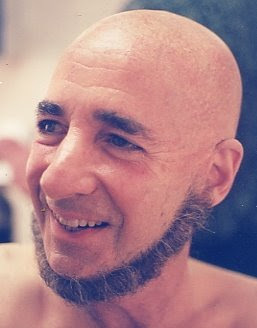 (By the way, Brett: Harry Shearer called: he wants his eyebrows back.) He won Game 2 of the NLDS, pitching 7 innings and allowing only two runs, beating C.C. Sabathia, no less, but then got hit hard by the Dodgers, allowing five runs in five innings (including ten baserunners and a wild pitch) in the NLCS, though he got the win anyway because Clay Billingsley suddenly forgot how to get anybody out. The rest of the Phillies' rotation is very sketchy. Jamie Moyer is probably really excited to be in the World Series, since his last opportunity at the feat was ruined when John McGraw and the Giants refused to play his Boston Americans in 1904. Despite winning 16 games this year, Jamie Moyer is still 4,239 years old and probably hasn't got much left in the tank. This year he was much better on the road (10-3, 2.92 ERA) than he was in Philadelphia (6-4, 4.61) but unfortunately, he draws the Game 3 start at Citizen's Bank Park. He's allowed eight runs in 5.1 total innings over two outings in this postseason, and I don't see how the Phillies can expect much from him in Game 3, especially since he's opposed by Matt Garza, who allowed only 2 runs while fanning 14 Red Sox in 13 innings during his two starts in the ALCS. The Phils' #4 starter, Joe Blanton, is basically a LAIM, but he's got a 6.05 career ERA against the Rays in about 42 career innings, most of which were accumulated before 2008, when the Rays were the Devil Rays, and also sucked. He's been a mixed bag this postseason, pitching brilliantly for 6 innings against the Brewers (one run, 7 K's, no walks) but then allowing 11 baserunners and three runs in 5 innings against the Dodgers. Blanton's competition is Andy Sonnastine, who won 13 games in the regular season, including a 4-0, 2.97 record against the National League (2 games against Florida, and then Pittsburg, St. Louis and the Cubs). He's not a great pitcher, but he's got good control, and has pitched well enough to garner two wins in the postseason so far. Moyer and Myers won't survive the 6th, maybe even the 5th innings of their respective starts, thoug Myers will probably last the longer of the two. Tampa wins those games more or less easily. The Blanton-Sonnastine start will be closer, and Tampa could still pull it out, but I'll give that game to the Phillies. Hamels wins again in Game 6, and then Garza stymies the Phillies in Game 7 (as Jamie Moyer surrenders six runs in three innings, and is then taken up to heaven in a white chariot). The Rays win it in seven. There you go, folks! Place your bets on the Phillies now!